The altar was draped this morning in purple – purple covered everything, it seemed – the tabernacle, the giant candlesticks, the huge medieval crucifix, the Lady Altar, the lecterns. We were drowning in purple. And so I considered my purple, penitent past, one which I revisited recently. I returned to a place I had not visited in thirty years, a city in which I had lived in the 1970’s, for the funeral of an old friend gone to Heaven. He was a devout Christian; he knew where he was going and he knew the way. He was eight-two, my son’s godfather. We had been in touch by phone and through Christmas cards, but not much else. So my son (42) and I (67) flew north to Vancouver, Canada. And as we flew above the clouds, I traveled back in time to a younger version of myself. The younger version, a girl in her twenties, peered over my shoulder that day of the funeral as though watching and taking stock of who she would become one day. I considered from time to time, as we prayed the prayers over the ashes in the Anglican Church, sitting with old friends in the pews, the unique journeys we each had made to this place and this day in this year 2015. I learned more about journeys, those stories, later over coffee and sandwiches. My friends had suffered death, illness, and loss. But we were joyful in spite of it. Children had grown to be parents, just like my son, and I marveled at these children now in their forties who once played together and flew kites on the green lawns of Stanley Park. Our children had grown up. And of course I noticed other graduations: retirement, gray hair, silvery beards. 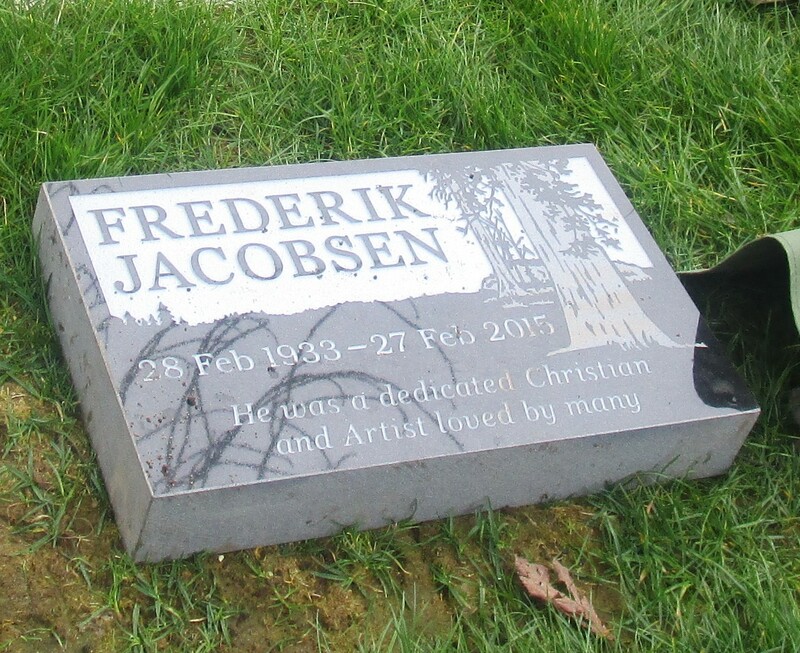 My son’s godfather, Frits Jacobsen, whose ashes we placed reverently in the square space in the cemetery grass, was a rare creature, a Christian bohemian. Born in 1933, he emigrated from Holland to Toronto with his young family after the war. Many years later he resettled in Vancouver and made a humble living as a book illustrator. He devoted countless hours to his church, his community, and the poor. He was self-supporting with his pen-and-ink drawings. He might have been confused with the hippies, a generation later, but he was far nobler. 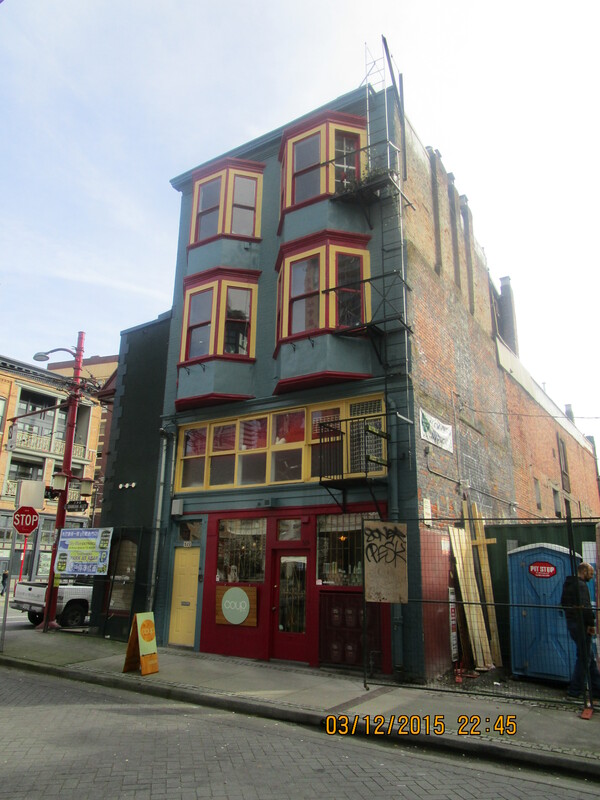 He lived in a garret in Shanghai Alley, Chinatown, in old Vancouver. Today the building is adjacent to the newly redeveloped Olympics and World’s Fair district, but back in the 1970’s it was a poor, albeit quaint, neighborhood, with soup kitchens and lines of homeless. My son, with the help of his miraculous IPhone, found the address. I recognized the door, with the 522 painted over it. We took photos from all angles. It was when we headed back to the car, time telling us it was time to leave for the funeral, that a lovely young lady came through 522. We asked what floor she lived on. The top, she said, curious. Could we come up? we asked. My son explained our connection with the former inhabitant (Frits had moved with the area’s redevelopment). When she learned that an artist had lived there, she was delighted to invite us in. And once again, as I climbed the familiar stairs to Frits’ studio and smelled the same musty stairway smells, that other girl I was, so many years ago, smiled from behind my shoulder. I pinched myself as I watched my grown son climb the stairs ahead of me, for I could see the four-year-old blond towhead clambering up behind him to visit his Uncle Frits. Frits, opining in his heavy Dutch accent, with his beret and his trim beard, was both gregariously joyful and astutely serious. He brooked no compromise with his Christian beliefs and would follow those who pledged the same. He was sure the Apocalypse was imminent. He judged his culture and he judged rightly, I believe, although he was a bit too harsh, to my way of thinking, on other denominations within the Body of Christ. Frits had his opinions and wasn’t shy about voicing them. And we loved him for it. He was a breath of fresh air. After the graveside service last week we gathered again to recall Frits and how he would love our gathering. We looked at his artwork, shared plates of fruit and salad. We laughed a good deal, and we knew Frits would have liked that. We remembered how we had found one another at church, our glorious Anglo-Catholic St. James, and how we had formed friendships including singles, couples, and young families. We didn’t have much, but we liked to talk about faith, about Lewis and Tolkien, about books, about theology, and we would gather together over wine and cheese and pineapple upside-down-cake. We picnicked at Stanley Park and dreamed where our lives would take us. For we were young then, and our future spread before us. We were fearless, undaunted. We embraced living. And so as I revisited my earlier life, more battle weary but also more wise, I guessed my friends felt the same. We looked different and yet the same, and we wove together the years we were apart in our conversations, asking, remembering, wondering why this and how that and where was so and so and what happened then. Each of us carried a universe within us; we had lived most of the universe already, and the stories, like planets, revolved around one another once again. I realize now as I write this, how rich we all are to have lived so long, to have so many stories texturing us and coloring our lives. Some are painful tales to be sure, but some are joyful. The threads of the weaving are both dark and light, drab and colorful. 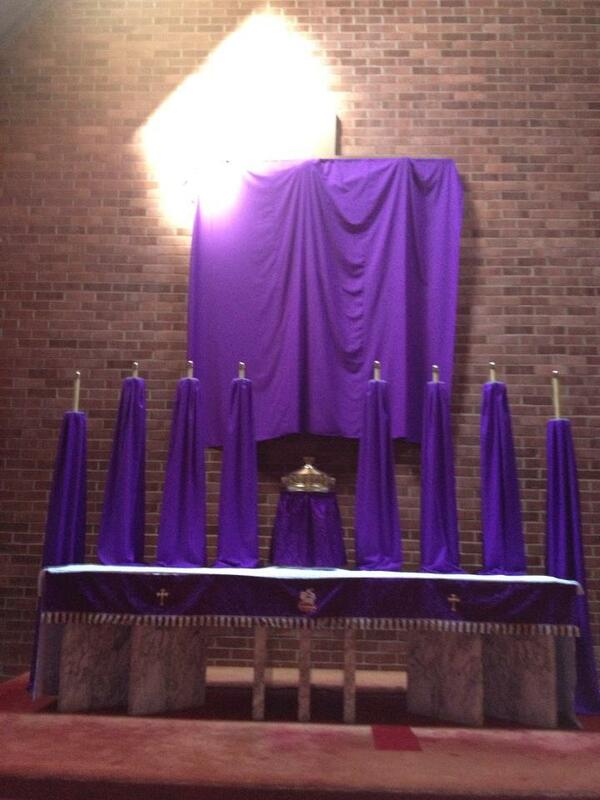 And so as we enter Passiontide, we look to Palm Sunday and Holy Week. We consider what it all means, our lives and the lives of those we love, weaving them together in our prayers and offering our new coat of many colors to God. We look to Palm Sunday and Our Lord’s entrance through the gates of Jerusalem. As the children waved the palms, just so we wave our lives woven by each minute, hour, day. We lay down this fabric of our lives before the Son of God who rides on a donkey through the holy gates. We lay them down alongside the children’s palms. And we look forward to the glories of Easter. This entry was posted in Uncategorized and tagged Canada, Christ, death, Easter, friendship, funeral, God, godfather, life, Palm Sunday, Passiontide, Vancouver. Bookmark the permalink.